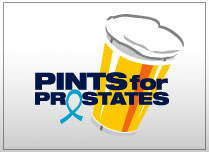 Pints for Prostates is now using the universal language of beer to reach men in a new way: Facebook. You can check out the page and become a member by clicking here: Pints for Prostates Facebook Page. Hundreds have already signed up in just a few short weeks. Pints for Prostates is looking for partners to help spread an important health message to men about PSA testing and prostate health screening. We are planning a number of activities for the year and are continuing to work to support the mission of Us TOO International. In 2008, more than 25 million people were reached through the campaign. Tell the men in your life to get tested. The more men we reach, the more lives that will be saved. Drinks & Taxes 2009 v3: Will Massachusetts Add a 5 Percent Tax on Alcohol? Massachusetts appears to be ready to join a list of states prepared to boost alcohol taxes to pay for health programs. A proposal is now kicking around the state house in Boston that would place an additional 5 percent sales tax on beer, wine and spirits sold in Massachusetts. Retailers are also worried about a plan to expand the bottle deposit law to include fruit juice and water. They say that would force them to expand recycling areas and cut into profits. Massachusetts is an interesting case because it borders New Hampshire, which does not impose significant excise and sales taxes on alcohol. People living close to New Hampshire may just give their business to that state's liquor stores. The chance of the tax not becoming law is pretty slim. After all, Massachusetts is facing a budget crisis and elected officials are playing two cards that have been used effectively in the past to push higher taxes on alcohol: They claim the money will go to support needed health programs and that the tax will cut the rate of underage drinking. I want to meet the 19 year old college sophomore who decides he or she cannot afford that six pack of beer because the price just went up 30 cents. If I ever have a large piece of furniture land on me, I hope I'm as lucky as Joe Galliott of Somerset, England. Recently during a power outage, Galliott tripped over a phone cord in his home, fell against a sofa, which then landed on top of him, trapping him on the ground. He was unable to free himself because of a bad back and was trapped for two and a half days. Galliott survived his 60-hour ordeal by sipping whisky. The BBC reports that luckily for Galliott a bottle of whisky rolled near him and he was able to drink from it until a neighbor became concerned and investigated why he had not seen the 65-year-old man for sometime. "I took a sip of it and thought, well this isn't too bad," he said. He spent 5 days in the hospital recovering from the incident and says he plans to keep a bottle of whisky near the sofa in the future, just in case. Gov. Sonny Perdue, a teetotaler, may soon be asked to sign a bill that would allow packaged alcohol sales in Georgia. House Bill 104, which would allow local option for the sale of packaged alcohol on Sundays, is now in the House Committee on Regulated Industries. A vote by the full legislature could happen this session if the bill does not get bottled up in committee. That would mean some local voters might be able to cast ballots for Sunday sales in November. It's about time Georgia joins the 21st Century. A couple of years ago, while visiting friends in Atlanta, I attempted to buy a six pack of Terrapin Rye Ale at a local grocery store to enjoy while watching the Daytona 500. The clerk whisked the six pack off the counter and placed it underneath, giving me a look as if I had just asked to purchase a nuclear weapon. If the bill passes I'm sure Gov. Perdue and a few Baptist ministers will warn the good folk of Georgia to keep their women, children and small pets inside on Sundays. The rest of us will just be happy to know we can buy a legal product and enjoy it in a legal manner on one of those few days of rest we are granted. Tuesday Tasting is a regular feature of Lyke2Drink that explores some of the best beers, wines and spirits on the market. This week we sample some New Hampshire ale at a spot in South Carolina. Smuttynose Brewing has long been a favorite of mine going back to the days that I would find myself in the Portsmouth area on rare business trips to New England. It is easy to miss the fact that New Hampshire has a chunk of Atlantic coast, wedged between Boston and the land of lobster otherwise know as Maine. Portsmouth is an easy stop along the highway. Portsmouth Brewing, the first brewpub in the state, is a sister company to Smuttynose. The pub a welcoming place on cold, icy winter evenings. The Grapevine in Baxter Village, a relatively new development in Fort Mill, S.C., hosted a tasting of six Smuttynose beers this evening. Dave & Melanie Sills run the place, which has a nice selection of wines and beers for on-premise and off-premise consumption. Shoals Pale Ale: This copper colored beer is fairly light and accessible by American pale ale standards. Hits of fruit and mellow hop notes. Finestkind IPA: You get a good amount of direct hops in this beer. Nice aroma, slight haze to the golden color. Not a big IPA for major head, but a well built beer. Robust Porter: Nice dark ale with ample amounts of malt. The coffee character hits in the nose and continues in the flavor profile. Nice cocoa finish. Scotch Ale: This 8.2 percent alcohol by volume beer drinks very smoothly. There is a nice background peat character to the beer. Really Old Brown Dog Ale: This beer has a slightly red hue and a fruity nose. It drinks much stronger than the stated 7 percent alcohol by volume. The flavor characteristics suggest aging in wine casks. Something to ponder on a cold evening. Finestkind IPA Cask Ale: This brew came fresh from a firkin tapped at the end of the event. The beer gave off a lovely flowery hop aroma, but was very smooth and mellow. Classic English real ale qualities. Light and smooth. If you are anywhere near Columbia, S.C., on Saturday and don't have plans for either the afternoon or evening, here's a tip: Go to the World Beer Festival. Amazingly, there are still some tickets available for this event, which will be held at the Columbia Metropolitan Convention Center during two sessions: noon to 4 p.m. and 6 to 10 p.m. The folks at All About Beer magazine run the festival and they have annual editions of the event in Durham (Fall) and Raleigh (Spring) that usually sellout weeks in advance. This is the first time the event will be held in Columbia. This is a very well run festival with plenty of great beer, good food, local bands and beer education opportunities. I'm one of the writers that will be speaking, so you can judge for yourself. I'll present "Are You a Hop Head or a Malt Maven?" at 2p.m. and 7 p.m.
Also at the event, Pints for Prostates will have a booth and hold a raffle for a Haier Kegerator. All funds raised by the raffle go to help Us TOO International in its efforts to support, educate and advocate for men with prostate cancer and their families. Tuesday Tasting is a regular feature of Lyke2Drink that explores some of the best beers, wines and spirits on the market. This week we sample six rich and complex dark beers. It snowed in Charlotte last night. Not the kind of snow I grew up with in Upstate New York, although some areas around the city claim they received 4 to 5 inches. (Hint: If you can still see the tops of blades of grass on your lawn, you did not get five inches of snow. It's what we used to call a dusting.) However, Charlotte has had some cold days during the last two weeks and when a cold snap hits I think in terms of dark beer. And when I say dark, I mean dark. Check the ambers and the brown ales at the door. I want to hold the glass near a 100 watt bulb and only see a slight glow around the edges of the glass. After enjoying these beers during the last four days I'd gladly accept them as the six beers to be stranded with on an arctic ice flow. Bell's Kalamazoo Stout: These folks know how to make beer and are especially adept at stout. The Kalamazoo version is almost a black purple color. They use brewer's licorice in this stout, which starts off with a decent head that thins out a bit. The flavor is firm with roasted grain and a sweetness that does not linger. Shiner Bohemian Black Lager: This pours jet black with a nice foamy head. Not overly heavy, this beer has just a touch of smoky roundness that leaves you asking for more. Moylan's Dragoons Dry Irish Stout: This 5 percent alcohol by volume stout makes you think of Dublin, even though it is brewed in California. Right out of the bottle the head was creamy and stayed throughout. Classic Irish flavor profile. Steelhead Scotch Style Porter: OK, Mad River Brewing has really come up with something with this beer. There is a nice level of sweetness in the 6 percent alcohol by volume package, along with a peat smoke character. The flavor combinations throws a few curve balls for you palate, which is exactly what you need on occasion. Stoudts Fat Dog Imperial Oatmeal Stout: This pours with a nice thick tan head. Dates and sweet raisin flavors flow forward, followed by touches of roasted coffee in the background. One of the best stouts I've had recently from a northeast brewery. Pike Entire XXXXX Extra Stout: This beer is 10.73 original gravity, 60 IBUs and 9.5 percent alcohol. Those are the statistics. They tell you nothing. You have to taste a beer like this. This stout is a blend of three beers, one aged in Bourbon oak. The stout shows a hint of the whiskey, a touch of pine and biscuit malt. This is one of those limited edition beers that you feel lucky to find. Very nice. Gulfport Mayor Michael Yakes is promoting a 1-cent tax on drinks served in bars and restaurants as a way to solve funding problems for city police departments across Florida. Mayor Yakes is taking the proposal to city and county legislatures, hoping to get them to pressure state lawmakers to vote for the tax. Funds from the tax would go to community police departments and alcohol-related programs at the county and state level. The declining economy is placing pressure of police, as well as treatment programs and public defender offices. Florida cities are looking for new ways to raise funds. Yakes said the 1-cent tax on all on-premise alcohol sales would generate millions of dollars on a county level. A study completed for the Vinexpo trade show indicates that British consumers have a thirst for imported wine, having knocked back 1.6 billion bottles in 2007. Vineyards are being planted in Britain, but 99.8 percent of all wine consumed in the island nation still comes from imported labels. According to the International Wine and Spirit Record, it is expected that Britain will hold down the top slot for at least five years. Other top wine import markets include Germany, the United States, Russia and the Netherlands. The top five exporters to Britain are Australia, France, the United States, Italy and Spain. Imports of American wines to the United Kingdom were up 35 percent during the last five years, while French imports were down 18 percent. British drinkers, who are slowly abandoning the pint of ale, consume 27.2 liters of wine annually, ranking them 13th worldwide. Tuesday Tasting is a regular feature of Lyke2Drink that explores some of the best beers, wines and spirits on the market. This week we try really hard to clean out the refrigerator and liquor cabinet. I've mentioned before that one of the occupational hazards of writing a beverage blog is that people send you samples. I know what you're thinking: Sign me up. I have to agree with you most of the time. It does create issues at times. Believe it or not, every beer is not great. Some whiskey misses the mark. And what can you say when that chardonnay resembles vinegar? Then there are the times when holidays, travel, work, family, events, writing assignments and life in general can make it difficult to keep on top of the arriving samples in a timely manner. The backlog can be frustrating. My general attitude is that if they are nice enough to send it to me, I ought to have the common decency to taste the samples and blog about them. Keep in mind, with regular magazine writing assignments, I also usually have 8-12 samples on a monthly basis to evaluate for an upcoming story. Deadlines, there are always deadlines. So that's why this edition of Tuesday Tasting is a bit of a grab bag. Hang on to your hat. We're about to cover a bunch of ground. sake2me: What happens when you mix junmai sake, fruit flavors and cane sugar in a slightly sparkling mixture. Well, you get sake2me, which comes in four flavors: Yuzu (citrus), Asian Pear, Ginger Mango and Green Tea. The 6.3 ounce bottles are 7 percent alcohol by volume, so you get about as much alcohol as a 12 ounce light beer. I have to admit this is not something I'd go out and buy by the case, but I understand why someone would. The Asian Pear and Ginger Mango flavors would be perfect for a hot day poolside. Navan Natural Vanilla Liqueur: This 80 proof liqueur from the makers of Grand Marnier combines Cognac and Madagascar vanilla. The nose on this one is strong vanilla and sweet. The drink offers a coating mouth feel and plenty of vanilla, oak and toffee flavors. This one will make a great cocktail or is nice over the rocks. Combier Liqueur d'Orange: This clear 80 proof triple sec from France has been around 175 years, but just came into the U.S. It gives off an immediate Fanta aroma, but the flavor is more complex than I had expected. A slightly bitter orange flavor has bits of spice and an overall tart finish. Cruzan Coconut Rum: The coconut aroma on this one takes over the bar area when you open the bottle. The rum is clear, but packs an intense coconut flavor. Perfect for making tropical cocktails. Gritty McDuff 21 IPA: You want hops? Get to Maine and find a four pack of this ale that celebrates the 21st anniversary of Gritty McDuff's in Portland. Brewed with 56 pounds of Cascade hops per each 50-barrel batch and finished with Willamette and Warrior hops. Plenty of floral notes in the nose and great herbal notes throughout. One of my favorite beers so far in 2009. Fetzer 2007 Gewurztraminer: This wine is an attractive golden color and has a slightly syrupy mouth feel. I found it to be a bit sweeter than German Gewurztraminers, but it did have nice balancing spice notes. This wine is affordable and a great casual dinner pour. Constellation Brands, a New York-based beverage marketer, plans to sell its Value Spirits Brands unit to Sazerac Co. for $334 million. Sazerac, which is located in Louisiana, is taking control of more than 40 brands, many of which are bar well brands, including Barton, Mr. Boston and Fleischmann’s, along with the Chi-Chi’s pre-mixed cocktail line. In 2008 the combined brands generated 10 million cases or approximately $200 million in sales. Sazerac also gets distilleries in Bardstown and Owensboro, Kentucky, as well as a leased bottling facility at Carson, Calif., as part of the deal. Constellation retains the SVEDKA Vodka, Black Velvet Canadian Whisky and Paul Masson Brandy brands and its distillery in Lethbridge, Alberta. The German Brewers Association has released figures indicating that consumption of beer in the country is at an all-time low. In 2008 per capita consumption sank to 109.5 liters, off 2.2 liters from the previous year. The drop is being blamed on the recession, the elimination of smoking in bars and changes in consumption patterns among younger drinkers. Brewers indicated that market conditions were increasingly difficult during the last quarter of the year. The drop in consumption will put pressure on Germany's 1,300 breweries and likely result in consolidations and some closures. Idaho might be the next state to consider hiking taxes on alcohol. The Common Interest, a lobbying group, says the state tax on beer should be raised from 15 cents per gallon to 52 cents and the 45-cent per gallon tax on wine should be hiked to $1.56. Idaho does not tax spirits because they are sold through a state store system. Common Interest says money raised from the tax hike should be used for substance abuse programs. It says effective treatment programs would reduce crime in the state and cut criminal justice costs for state taxpayers. Wal-Mart is a magnet for protesters. The retail giant has been charged with everything from destroying the mom and pop store to union busting. Add to the list Yankee Imperialism against rum from Cuba and Venezuela. Wal-Mart is in the midst of a $2.66 billion takeover bid for Distribucion y Servicio D&S SA, a large grocery retailer in Chile. Now competitors of D&S and members of the Chilean legislature are charging that if the Wal-Mart acquires the stores it will blacklist products from up to 15 countries that have poor relationships with the United States. The allegations include charges that D&S managers have already been told products from Iran, North Korea and Sudan will no longer be sold at the store. High on the list of potentially banned products are Havana Club and Varadero from Cuba and Diploamtico and Pampero from Venezuela. News reports claim prices on the offending rums have already been cut in a pre-Wal-Mart clearance sale. Chilean Rep. Eugenio Tuma and Rep. Rodrigo Gonzalez have called for an investigation of Wal-Mart saying that if the allegations are true it would not only restrict free trade, but also damage Chile's sovereignty. D&S controls about a third of the Chilean grocery market. Wal-Mart is based in Bentonville, Ark., and operates stores in 14 countries, including Brazil and Argentina. Anheuser-Busch InBev's theme park division is halting free beer samples at park hospitality centers. Busch Entertainment Corp. announced an end to the decades-old practice of offering free tastings of Budweiser and other brands. The unit operates 10 theme parks around the country under the SeaWorld and Busch Gardens banners. The theme parks are rumored to be potentially on the auction block as the Belgian company looks for cash to help pay for the $52 billion acquisition. In the meantime, park visitors will still be able to purchase beer in park restaurants. Tuesday Tasting is a regular feature of Lyke2Drink that explores some of the best beers, wines and spirits on the market. This week we sample four beers from a great Michigan craft brewery. A few weeks back Joel Armato, who handles sales for New Holland Brewing along the east coast, hosted a tasting for members of the Charlotte Beer Club featuring four brews from the company. New Holland has been making beer since 1997 and they added a distillery to the mix in 2005. The range of solid beers -- from a kolsch to an oatmeal stout -- flowing from New Holland is a pretty impressive display of brewing flexibility. Full Circle Kolsch-Style Beer: This beer poured yellow and slightly cloudy. It had a relatively thin head, with a nice hop tang to the background of the brew. Good refreshing flavor overall. Ichabod Pumpkin Ale: Amber color, with a thin head. Upfront flavors of nutmeg with a slight hint of cinnamon at the end. Good balance for a spiced seasonal beer. The Poet Oatmeal Stout: Black, brown color with a nice roasted character. There is a touch of cocoa to the rich flavor and hints of grain that linger. Great brew for a Michigan winter. Dragon's Milk Ale: Aged in oak barrels, this is a thick and flavorful brew. There is a mix of vanilla and port qualities to the liquid. It weighs in at 8.5 percent alcohol by volume, so the bomber bottle is perfect for sharing.